Ryan Thayne is an adventurer and photographer living outside of Salt Lake City, Utah who has a love for the outdoors. See why TIME Magazine named him one of the Top 50 Instagram accounts to follow. 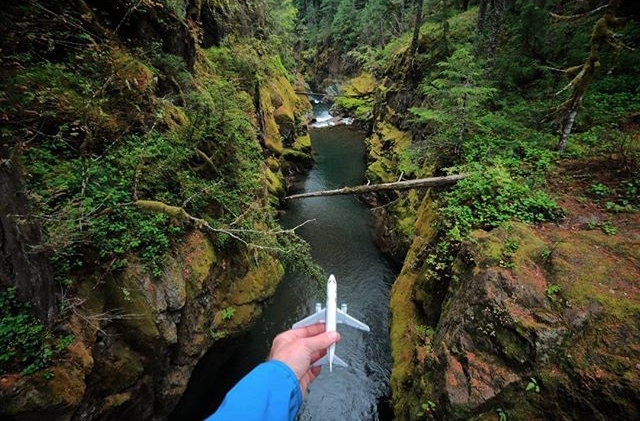 He just returned from an Instagram takeover in Seattle as a part of Alaska’s Weekend Wanderer series. 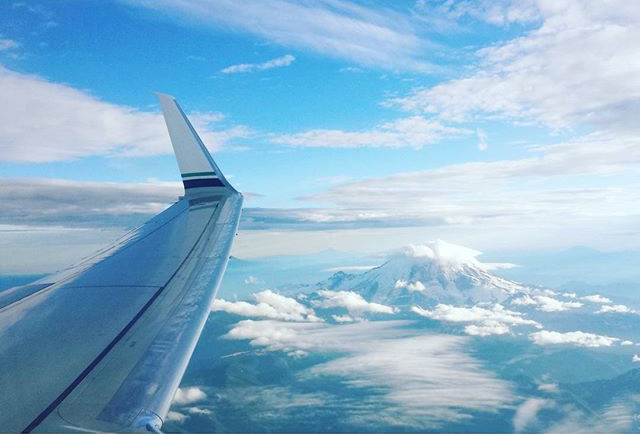 For more Weekend Wanderer posts, make sure you’re following Alaska Airlines on Instagram. No doubt, Alaska flies to some of the most beautiful places in the country which are easy to explore in a week or a weekend. As a nature photographer, I carefully select where I want to be for sunrise and sunset and then use the time in between to explore. 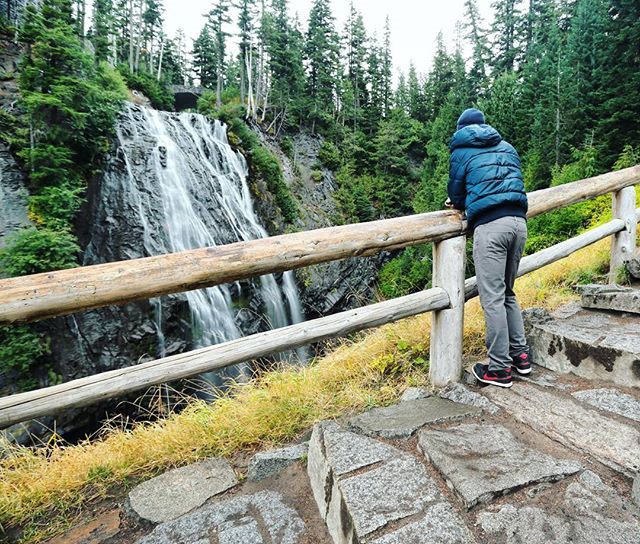 Since the flight from Salt Lake to Seattle and drive to Mount Rainier took less than four hours, I decided to plan my three day trip wandering around two of Washington’s most noted peaks – Mount Rainier and the Space Needle. 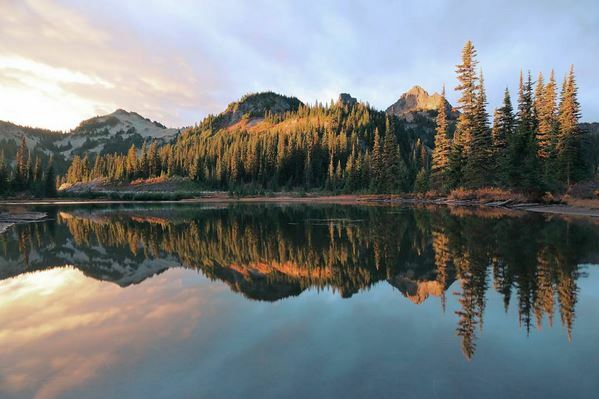 At 14,409 feet above sea level, Mount Rainier dominates the entire Puget Sound region. Even on an overcast day this mountain stands out above the clouds so it wasn’t hard to find. One of the unexpected highlights during my visit to the 236,000 acre national park was listening to elk bugling the first night I arrived. Sunrise from Reflection Lake was gorgeous and the waterfalls breathtaking. If you visit, I’d recommend bypassing hotel chains for one of the quaint, smaller park lodges like National Park Inn. With only 25 rooms, the inn offers great guest service and meals to go. After a day and half spent hiking around Mount Rainier, I ventured to one of the region’s other notable structures, the Space Needle. 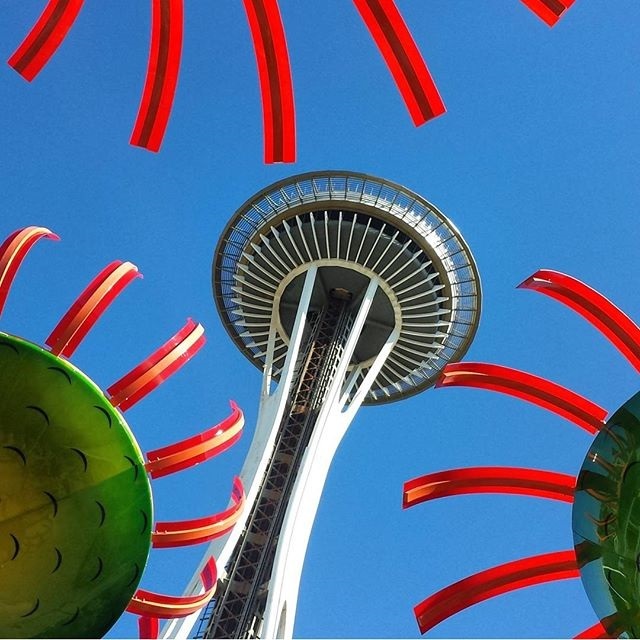 If you’ve never visited Seattle and only have a short time to explore, there is no better way to take in the city than at 520 feet. 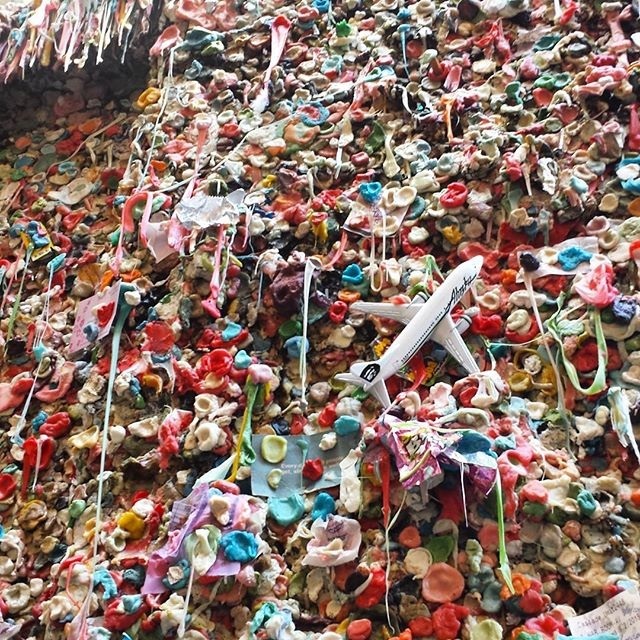 From there, I meandered through the streets on foot and made my way to Pike Place Market and then found the nearby Bubble Gum Wall, one of Seattle’s most filthy and fascinating tourist attractions. Hey everyone #weekendwanderer @ryan_thayne here. This was my view flying into Seattle from Salt Lake City. Mount Rainier took my breath away! Have you ever been to Paradise? This picturesque Mount Rainier National Park hotspot was my first visit yesterday. Famed naturalist John Muir described this place as “the most extravagantly beautiful of all the alpine gardens I ever beheld in all my mountaintop wanderings.” I’d have to agree. 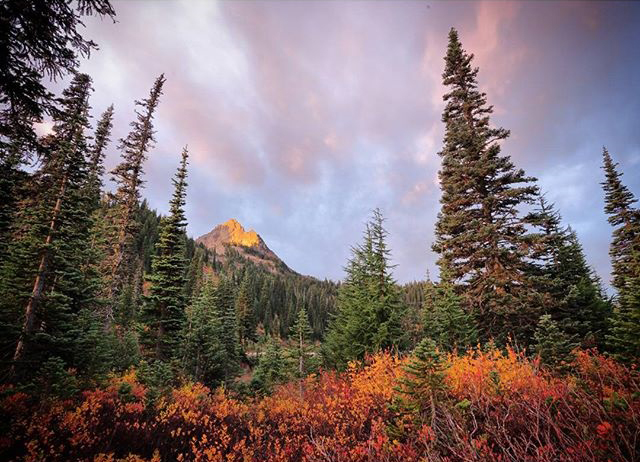 First light hitting Pinnacle Peak in Mount Rainier National Park. This place is gorgeous with fall colors right now! Loving my weekend exploring the Pacific Northwest. It was rainy off and on yesterday. Perfect fall weather for waterfall photography 🙂 This is Narada Falls in Mount Rainier National Park. I’m loving exploring the wilderness near Seattle but it’s time to head into the city. The last shot from my first day exploring Mount Rainier. Loving this place! View of downtown Seattle from atop the Space Needle. What an amazing city. One last stop in downtown Seattle. I had to visit the gum wall. I think Seattle is my new favorite city! So much cool stuff and so close to gorgeous wilderness and only a short hour and a half flight from Salt Lake City. The trip was short, but the experience is one I’ll always remember. Thanks @AlaskaAir! 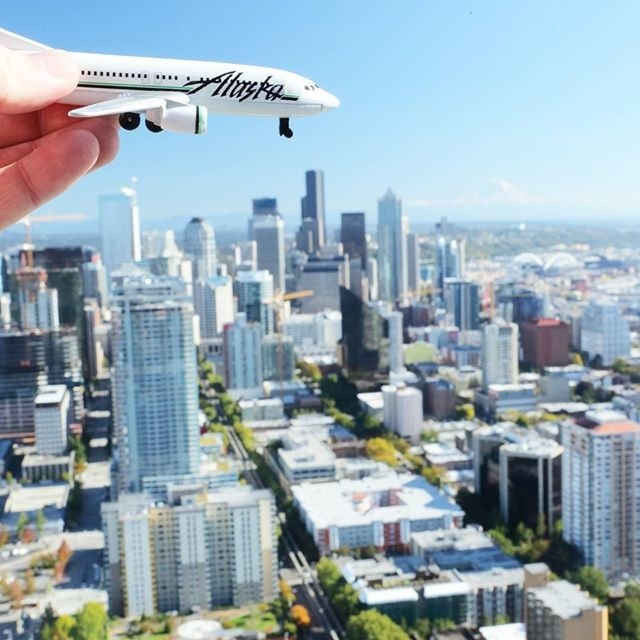 2 comments on "Weekend Wanderer: Salt Lake City to Seattle"
Alaskas last minute flights are too exspensive just flew round trip from Seattle to Reno for 250.00 with last minute booking. On a 757 300 . Very happy Alaska was my Airline of choice for this trip. What a great photographer! Beautiful photos. Good job, Ryan.